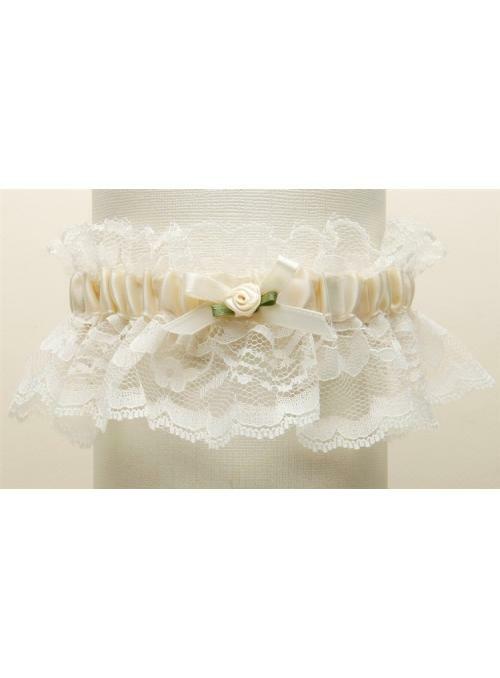 Wear this gorgeous vintage inspired 2-row bracelet as an accessory to your wedding or vintage inspired party for a lovely, romantic look. 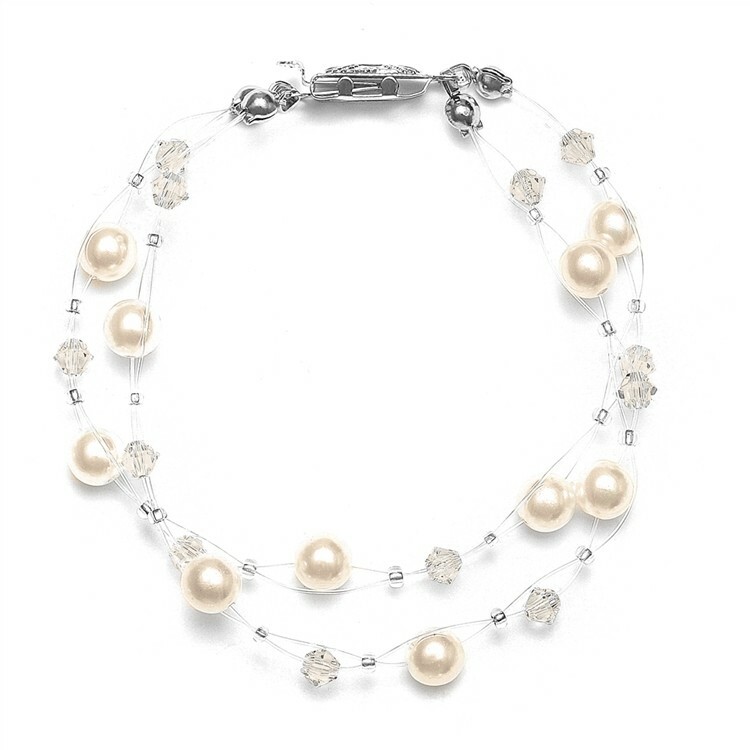 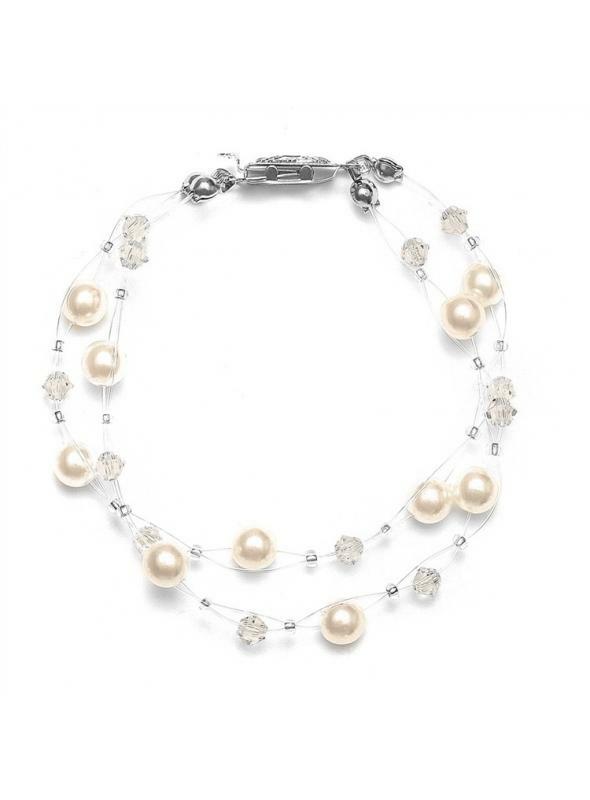 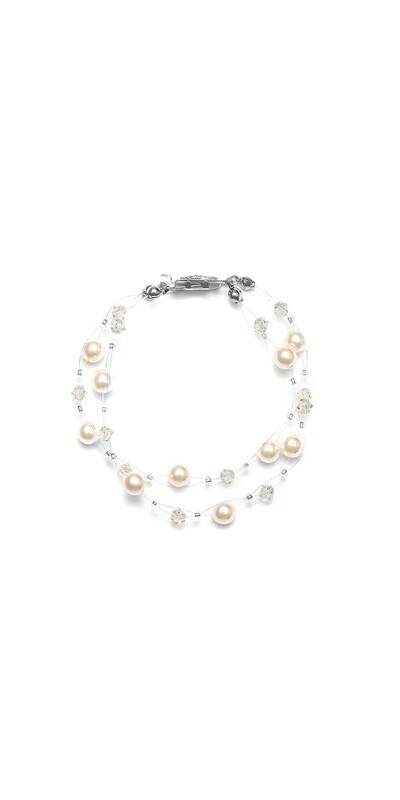 Featuring 6mm Swarovski crystal-based pearls, 4mm Austrian crystals and measuring 7'', this gorgeous romantic bracelet is a popular accessory available in Honey and Ivory/Clear for any bride or second time around bride. 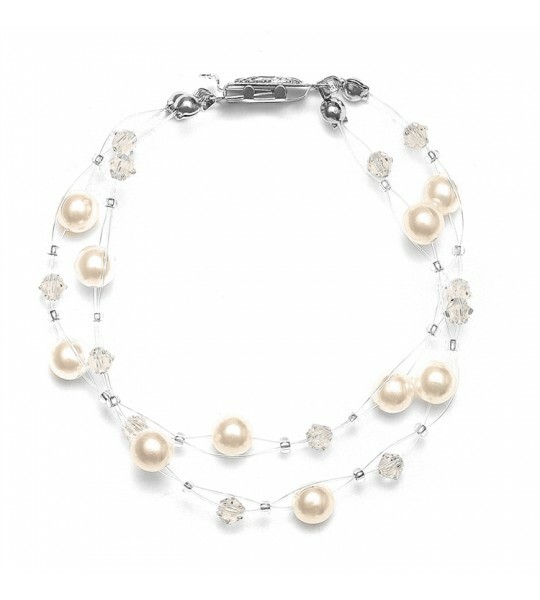 Accessorize your gown with this gorgeous vintage inspired bracelet and you'll definitely look elegant and fabulous at your event.